I’d like to have a sense of how fast I go through 3 ounces of ink. 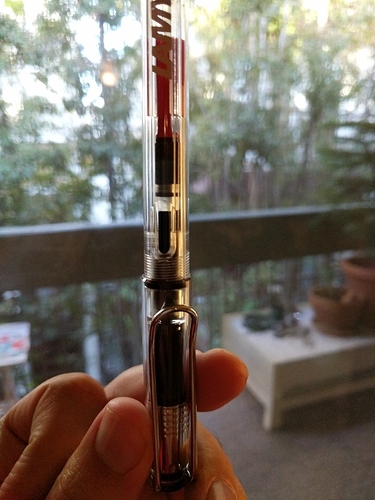 The current Lamy Safari pen has a converter, and I crank it once all the way, which half fills it. I gave @susan and Clover a refill demo and properly filled the pen this time. So… about five days before a refill. Nice! 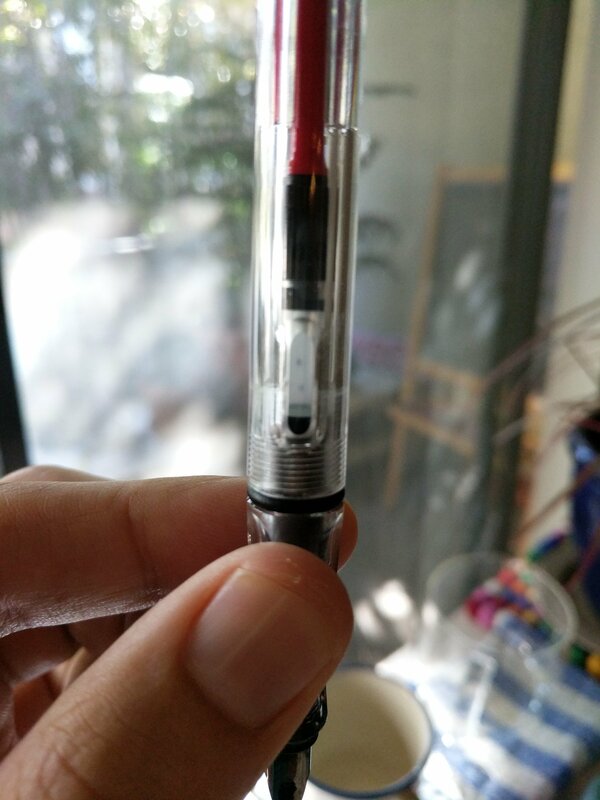 It isn’t empty, but I notice the ink running thinner all around, so good to know. five days is all it took?! wow! i’m impressed! Nah, just want to keep it simple. My note scratches are disposal, I’ll save the pretty particles for note cards or something. I think that with the angle I write, when the reservoir gets low less ink is going down. When holding it upright the reservoir is designed to show how much ink is in the window, and not to give an absolute sense of what remains. The pen is clear, so we see more, but with a solid pen I think my experience makes more “sense”. i’m really pleased that the pen is clear and we are nerds!